My Weekly Indicators post is up at XE.com. The year 2017 is ending in a very positive fashion. At the beginning of each year, I fearlessly forecast the economy over the ensuing 12 months. So, how did I do one year ago with my forecasts for the first and second half of 2017? Bottom line: not too shabby. This post is up over at XE.com. First of all, let's all remember that Powerline has the worst record when it comes to discussing economics. As I pointed out several years ago, they spent an entire year getting literally everything wrong. 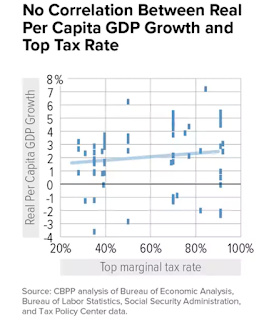 This chart that shows the highest marginal tax rate (in blue, left scale) and the Y/Y percentage change in GDP growth (in red, right scale). Notice that the red peaks are in fact higher when taxes are higher, completely contradicting Powerline's argument. 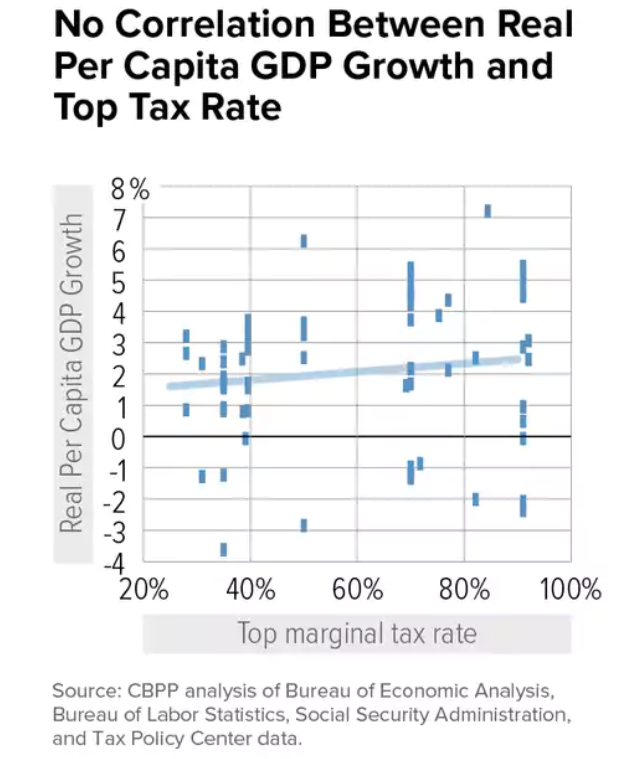 There is no statistical correlation between tax rates and per capita GDP growth. Now, this analysis involves data, facts, and math -- three areas where all the Powerline contributors are deficient. Also remember they're political sycophants -- if the Republican party said, "The sky is now pink," all the guys at Powerline would dutifully write, "The sky is pink." In other words, it will go over their heads. And even if they (or their readers) could understand it, they wouldn't listen because it runs against Republican orthodoxy. But for those of us who still use data, facts, and statistical analysis, it should be helpful.